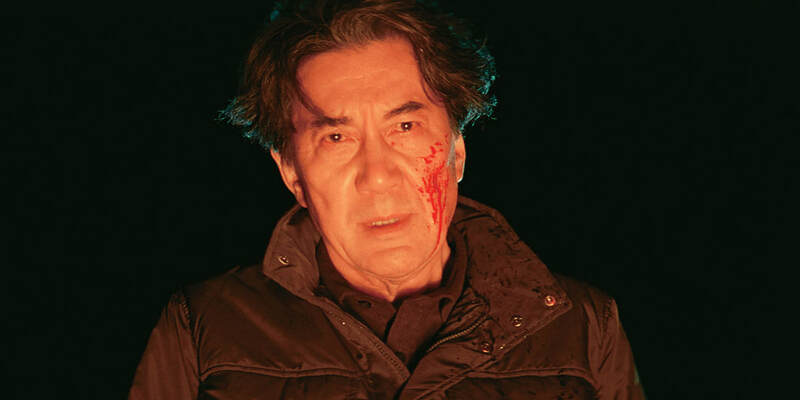 A movie review of ​THE THIRD MURDER. THE THIRD MURDER on the surface shares some similar ideas about chaos, but look deeper and there is political ire. Intriguingly, is Misumi (Kôji Yakusho – THE WORLD OF KANAKO) the antagonist? He is charged with the third murder of the title. Just because he confessed, does that mean he is guilty? If he is guilty, is there some kind of vigilante justification muddying the waters? Or is he a psychopath with an unfathomable endgame? ​Misumi is facing the death penalty. He is charged with murder and burglary. A 50-year old man was killed and his body set on fire. We do not see the crime. The audience witnesses what might be the aftermath. Misumi was dismissed from his place of work. The victim was his former boss. The grudge provides motive. The odds are stacked against Misumi. He already served time for two murders 30 years ago. The fatalities were loan sharks, and their apartment set ablaze. 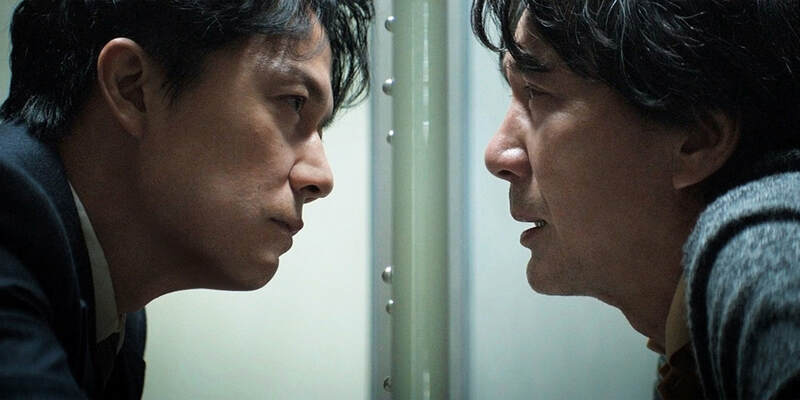 Shigemori (Masaharu Fukuyama – LIKE FATHER, LIKE SON) is a successful criminal defence attorney. He oozes moral indifference. For him, the legal process is merely to be manipulated. Shigemori is used to wielding the law for his own gains. However, even his cynical attitude is pummelled by the conclusion, causing not only a professional crisis but also an existential one. Early in the story, Shigemori says you do not need empathy to understand a client. That observation comes back to haunt him. 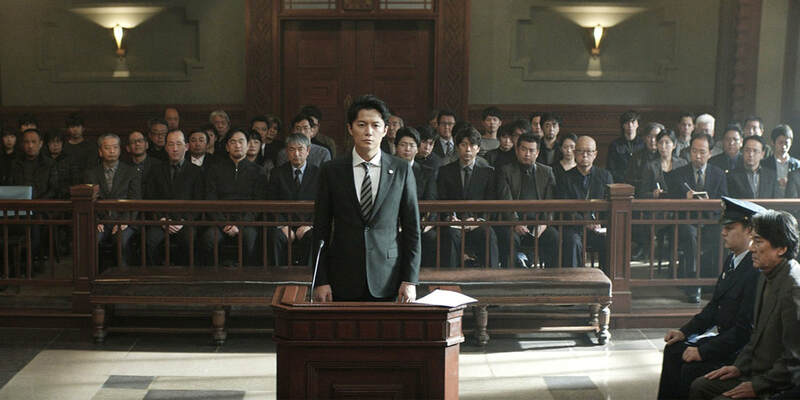 ​Shigemori takes on the case. In the interview room, Misumi and Shigemori separated by glass, reminds of the intimidating scenes of THE SILENCE OF THE LAMBS. It is incongruous that law enforcement, free to come and go, should be presented as occupying the weaker position. The more we find out about an ostensibly simple investigation, the more labyrinthine it is revealed to be. When the truth is not clear, the death penalty is impliedly damned. It is a crude, barbaric tool of punishment. Misumi growing up in extreme poverty is a further criticism of supposed civilised society. There is so much information and dialogue that the film requires a second watch, or pause and rewind buttons. There is an unnecessary coincidence, involving Shigemori’s retired judge father. The plot point presented did not require a prior relationship. Though, a counter-argument is THE THIRD MURDER is all about prior relationships. 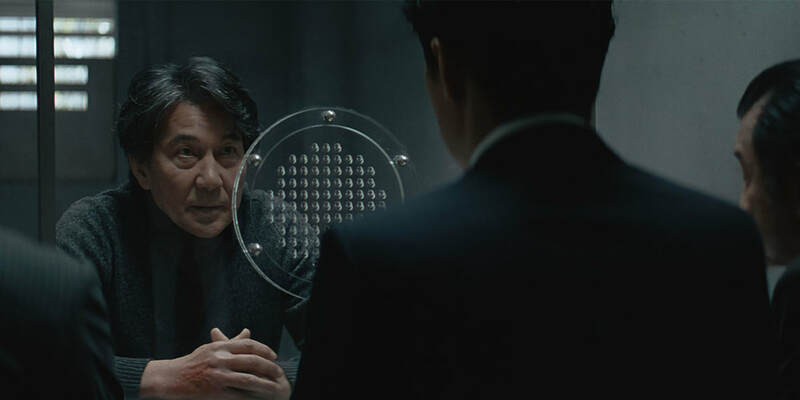 Director Hirokazu Koreeda effortlessly makes a legal procedural, where reliability of testimony is in fascinatingly short supply. THE THIRD MURDER is a rarity: Everything on the screen has to be questioned.